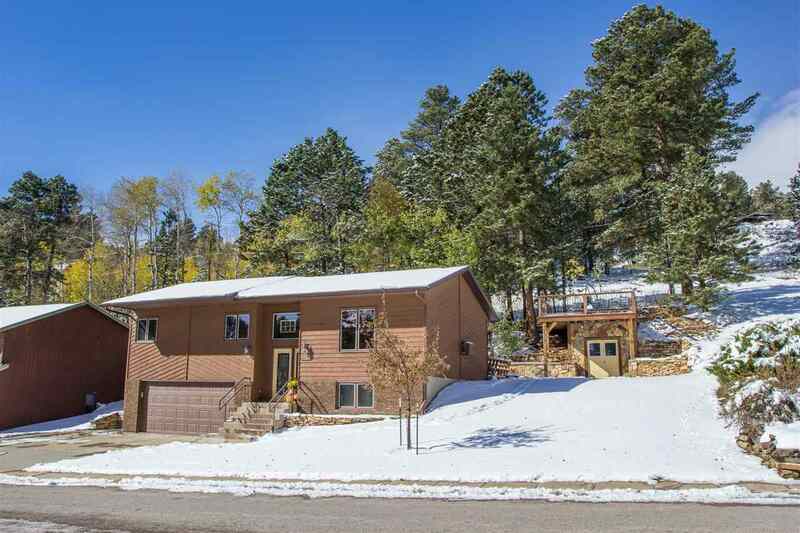 Very charming 4 bedroom 3 bathroom home with a forested backdrop and nice views just minutes away from downtown Lead and outdoor recreation. Nice outdoor seating areas on the back deck and above the shed - very neat rock pathway leads to the seating area above shed. Wood floors adorn the main floor living room and dining area, nice views from the living room window. Kitchen has tile and views of the back yard. Master bedroom has nice sized closet and master bathroom. Game room has gas log fireplace surrounded by rock and mortar, also has 3/4 bathroom with laundry. This is a nice home with some really neat views and ambiance. Basement has walkout to the drive-under two car garage. Contact Matt Klein 605.920.1341 with Century 21 Associated Realty, Inc. for showings and more information.